Every year three college roommates, living completely different lives, get together for a vacation, to remember the good times and make new memories. Abby, the housewife, married to a professor named Sam, spends her time raising their twin boys Chris and Ryan. Lee is a preschool teacher and single mother to college student Lacey. Caroline, the extravagant one, living in New York with her boyfriend Javier, works for a magazine. This year their vacation will be a little bit different. Abby and Sam have invited everyone on an all-expenses paid cruise to Bermuda to celebrate their twentieth wedding anniversary. Everyone is excited and is ready for the cruise. Although the main reason is for Abby and Sam's anniversary, each family has their own hopes for the vacation. Caroline is heading on this vacation hoping that her boyfriend Javier will propose. Caroline and Javier have been dating for three years. Although she isn't sure whether she wants children or not, she knows that she wants to take this next step with him. She doesn't want anything extravagant, just something small and simple, but she does want something that will bind them together forever. Before the cruise she left subtle hints and she has left little hints on the cruise as well. Although she hasn't told Javier about it, she does plan on giving him an ultimatum, either he proposes or they move on. As the cruise continues, and still no proposal, Caroline's concern continues to grow about where her relationship will go from here. Lee is hoping that the cruise will help get her daughter back. Being a single mother to Lacey, they have always been close. When Lacey went off to college, so far away from home, they began to grow apart. It has gotten to the point where Lee feels like she doesn't even know her daughter at all. 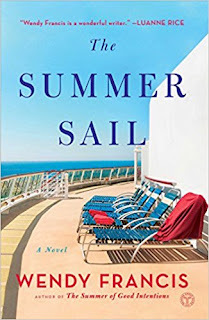 When Lacey comes home for the summer and they are both surprised with the cruise, Lee thinks it will be the perfect trip for them to reconnect. Lacey, excited to get away, has a huge secret that she must share. Although she is nervous about talking to Lee, since it could change their lives forever, she has to come clean to her mother. For Sam and Abby, the whole reason for this cruise is to bring together their friends and family and have a vow renewal for their twentieth wedding anniversary. With their sixteen-year-old twins Chris and Ryan off enjoying the activities on the cruise, Sam and Abby are enjoying their time lounging by the pool and spending time with their friends. Although everyone thinks that they are here for a vow renewal, Sam and Abby also have news of their own that they have to share with everyone. Not wanting to spoil the renewal, they decided to tell everyone after the renewal. Since the vow renewal isn't until the middle of the week, Abby has to try to act normal, so no one catches on. As the vow renewal gets closer, no one has shared their secrets. With three families and three completely different secrets, each affecting the others, they must come clean since it will change their lives. 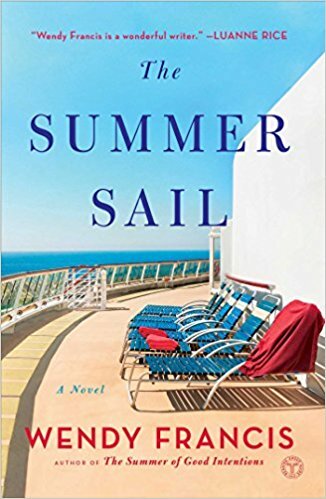 The Summer Sail was the perfect summer read. It was very detailed so it made me feel like I was on the cruise as well. It was like a true family book where I could relate to each person and the secret they kept. 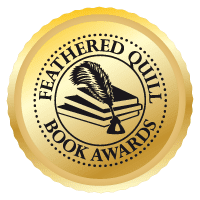 The reader will start out knowing Caroline's secret of wanting a proposal, but it leads you on because you're constantly wondering how she will break this ultimatum to Javier. With Lacey, you learn her secret later, but knowing what her mother went through, you again are led on with wondering if it is true or not and how will she break this to Lee. 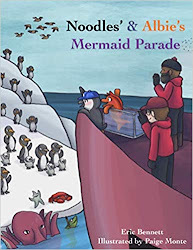 Finally, with Abby's secret, the book leads you on with multiple ideas of what her secret is but ties it all in at the end. It was a great book that anyone can relate to. 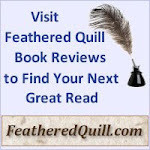 Quill says: If you're looking for a great summer read, this book is for you.